If you wish to pay by paypal, click the below button. Please note: Fee is $26 which includes a $1 processing fee. You do not need a paypal account to pay by paypal. You'll be taken to a secure page asking for your credit card information. After payment you will be taken back to our home page. 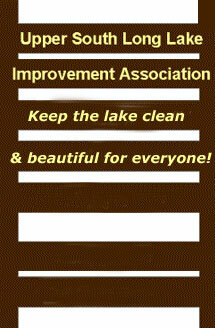 The Upper South Long Lake Improvement Association (USLLIA) was formed as a non-profit corporation under State of Minnesota Regulations on May 21, 1980. 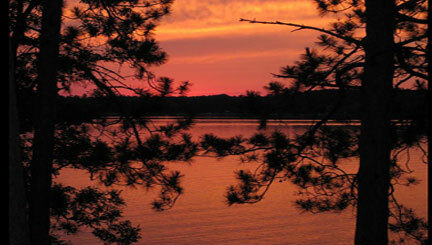 As stated in Article III of its Articles of Incorporation, "The purpose of this corporation shall be to provide a means whereby the membership of this corporation may promote, preserve and protect, rehabilitate and enhance, the quality generally, of Upper South Long Lake." The Lake Association became a 501C3 non-profit corporation under regulations of the Federal Internal Revenue Service in 2003.
more than the miracles of technology. We must leave them a glimpse of the world as it was in the beginning, not just after we got through with it.